Cassini captured this striking view of Saturn’s moon Dione on July 23, 2012. 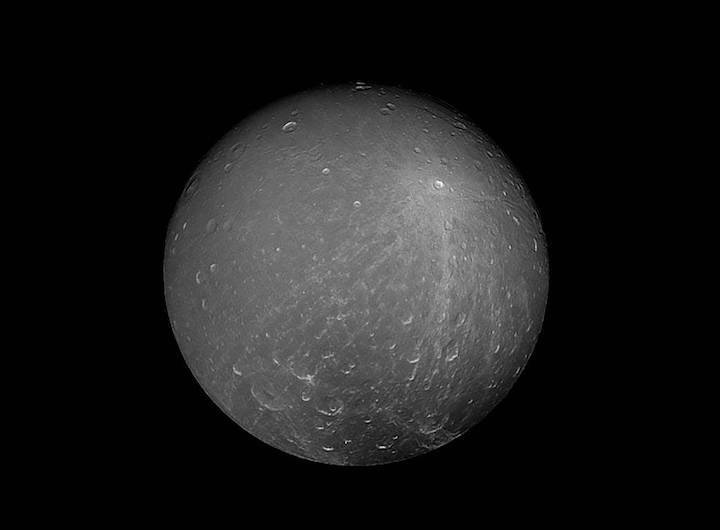 Dione is about 698 miles (1,123 kilometers) across. Its density suggests that about a third of the moon is made up of a dense core (probably silicate rock) with the remainder of its material being water ice. At Dione's average temperature of -304 degrees Fahrenheit (-186 degrees Celsius), ice is so hard it behaves like rock.